The initiative aims to follow through the commitment made in the document ‘NHS Five Year Forward View‘ “to ensure the NHS as an employer sets a national example in the support it offers its own staff to stay healthy”. This theme is further followed through in a second document: ‘The Forward View into Action: Planning For 2015/16’ where promoting “the physical and mental health and wellbeing” of NHS staff “our most precious and expensive resource” is seen as a key goal to help improve efficiency and quality of care “rather than relying on costly short-term responses to vacancies such as agency staff and international recruitment”. The NHS North West Leadership Academy (NHS NWLA) has taken a major lead on putting the ‘View’ into action, ahead of many of their peers. Our case study outlines just some of the work they have undertaken with Optima-life and how they are now reaping some very positive health and wellbeing rewards. The Perform @ Your Peak programme followed on from a pilot programme that was delivered by Optima-life to the North West Ambulance Service in 2014. Such was the success of the pilot, the NHS North West Leadership Academy commissioned Optima-life and close to 50 programmes have now been delivered to organisations in the North West and continue to be delivered today. CEO Simon Shepard, passionate about engaging people in their own health, led this programme and attendees ranged from consultants, junior doctors, AHPs, clinical assistants and administrators. Some groups consisted of specific teams e.g. a ward or the finance department, whilst others combined functions and professions. The programme used a blended approach that comprised of assessments, workshops, coaching support tools and evaluation. The programme was held over a 3 month period and it included individuals wearing the Firstbeat Bodyguard Monitor over 72 hours. The NHS NWLA has written up the results in their newsletter entitled LEADER, (October 2015 edition). The NWLA has kindly given Optima-life permission to reprint the article, here on this website. Just follow the link below to read how the programme affected lives of staff both at and outside of work. 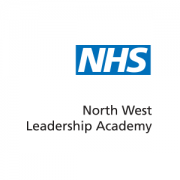 “The NHS North West leadership Academy has worked closely with Simon and the team at Optima-life to create and deliver two interventions, ‘Managing Your Mojo’ and ‘Perform at Your Peak’, aimed at supporting the personal and professional wellbeing, sustained performance and resilience of our north west NHS Leadership Community. Feedback on the impact of these interventions, from individuals and teams has been very positive, often profound and life changing. We know that participants’ health and wellbeing have improved and hence their work with colleagues and for patients, service users and local communities has been both more impactful and sustainable.